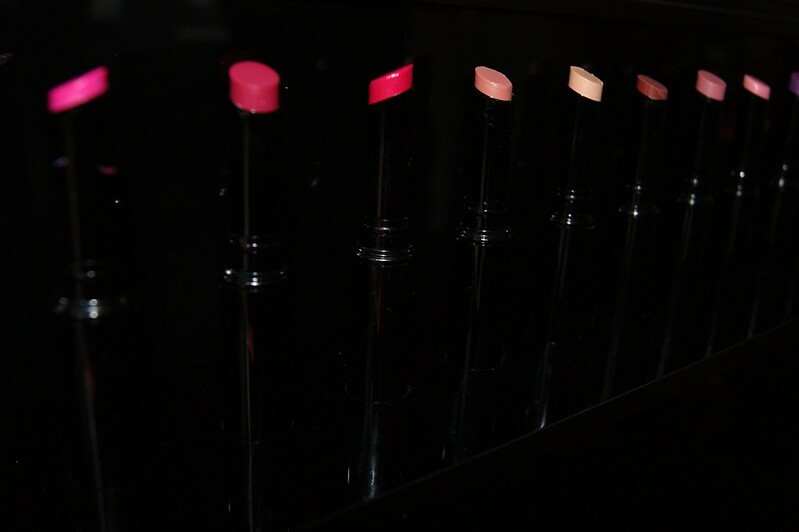 "Here at Inglot, we really don't look at MAC as if they are our competitors. I think it's safe to say that there is plenty of room for both of us and that we complement each other." 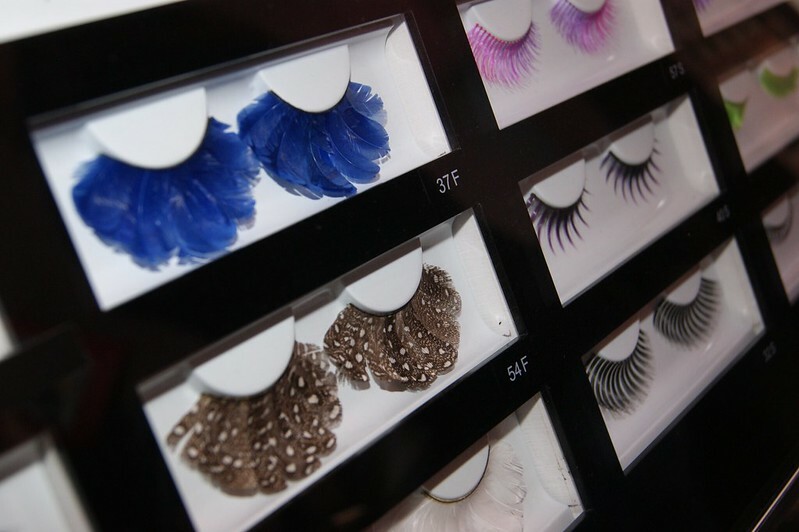 The Inglot store is small and cosy and is - literally - packed with make up and beauty products. 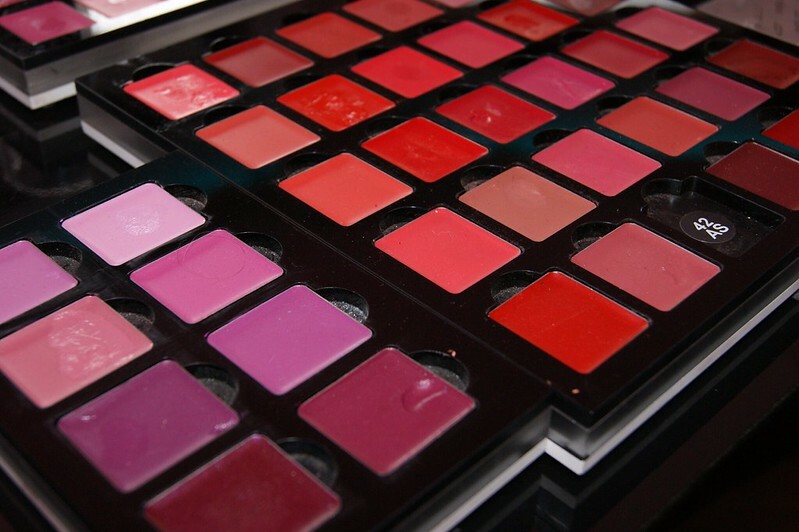 There's a super friendly team ready to help you with all of your questions about make up. Not sure which colors suit you best? Have a seat and let one of the make up artists do her thing, she will help you out and will make you look pretty in no time. Anyway, enough with the babbling, take a look at the pictures below. 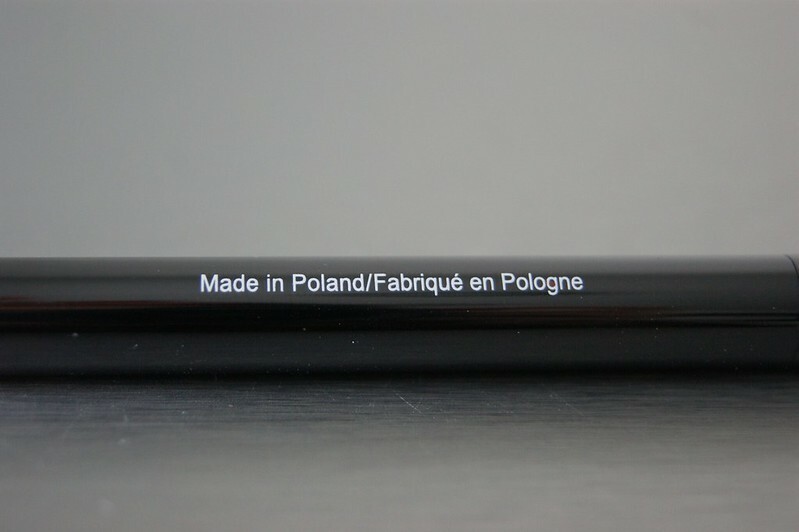 Like I said before: Inglot is a Polish brand and contrary to some other brands, everything is made in their own country. 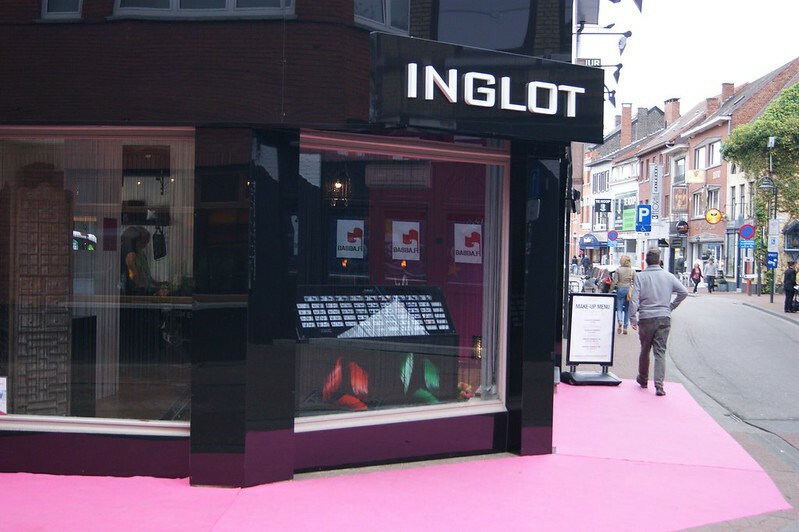 Yes, they have their own Inglot-factory! This will give them the opportunity to offer quality for lower prices. 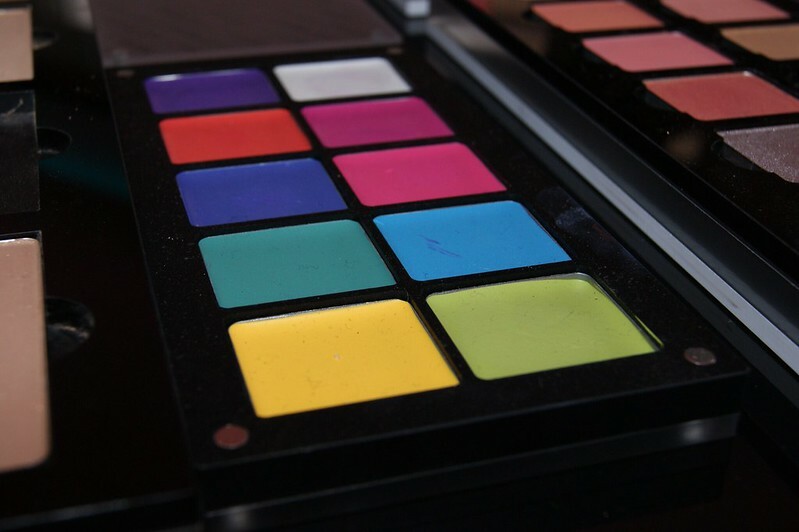 Now all say: "Thank you, Inglot!" 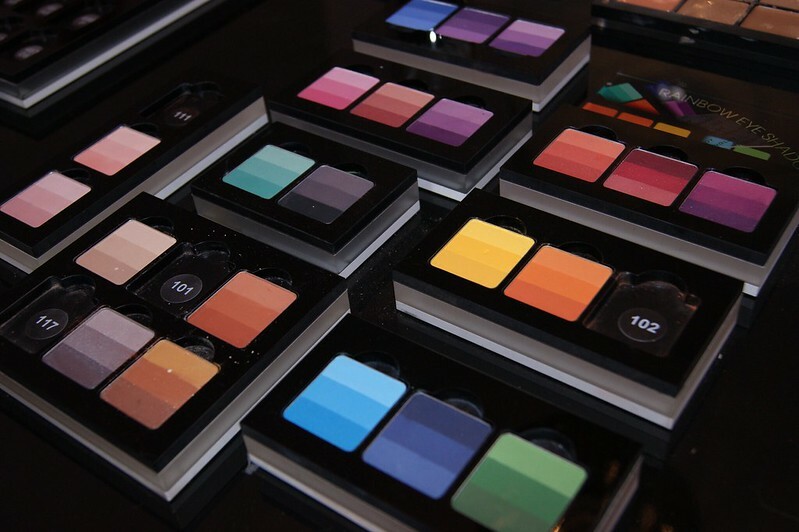 Most of the testers were touched and some products were missing, which shows how Inglot-fans already raided the store on the first day. 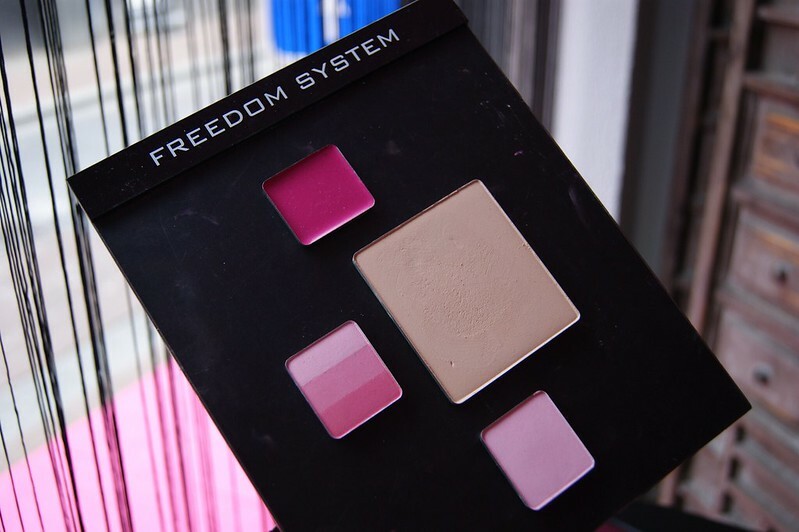 Inglot is most known for their Freedom System-palettes, which gives you the opportunity to create your own palette filled with your eyeshadow, blush, concealer, lipstick ... You can get palettes with space available for 1 up to 40 (!) 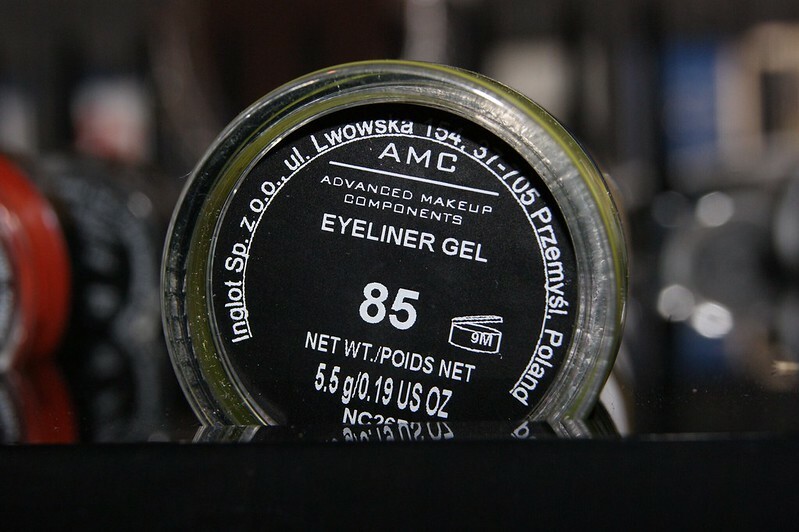 products. Grab one of the magnetic boards (as pictured above), choose your favorite products, buy the palette and voilà, you're done! The prices are very, very reasonable: € 7 for a palette with space for 5 products, € 7 for lipsticks / eyeshadows / eyebrow powder / concealers, € 9 for blushes and € 11 for foundation. 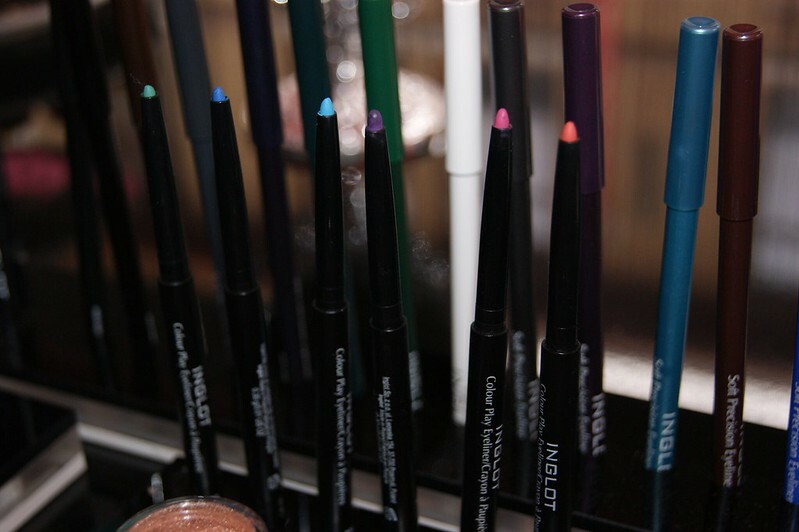 Go for the Lily-Allen-Back-In-The-Day-Look with these colorful eyeliner pencils and gels. 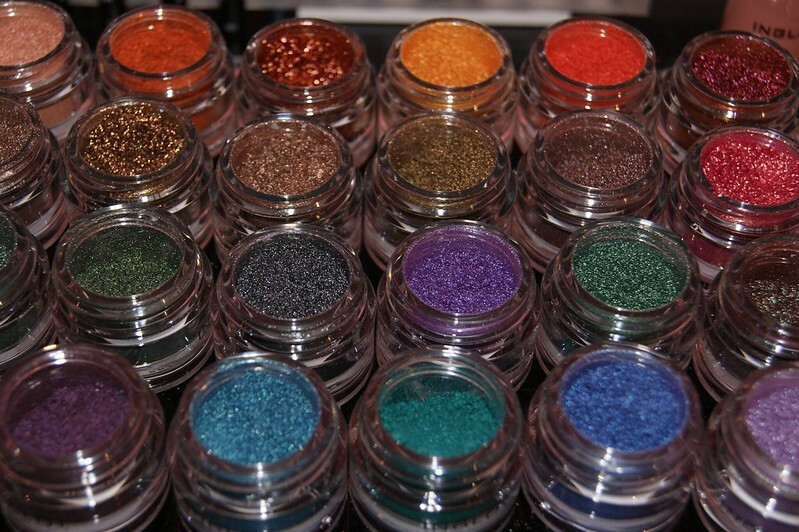 I was (and still am) literally obsessed with these loose pigment powders, which most people use as eyeshadows. THEY.ARE.SO.GORGEOUS. But, since I didn't have a clue how to use them, I decided not to buy one, which I'm totally regretting after looking at the picture. 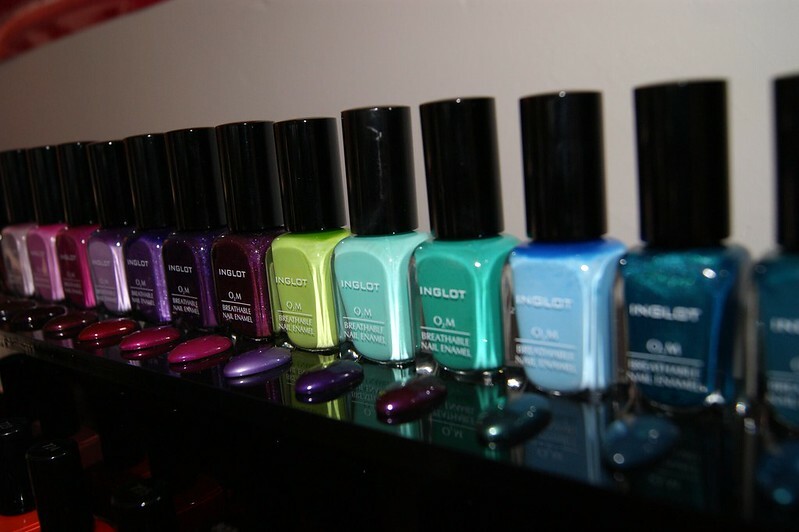 Another awesome product of which I didn't its existence: O₂M Breathable Nail Polish! 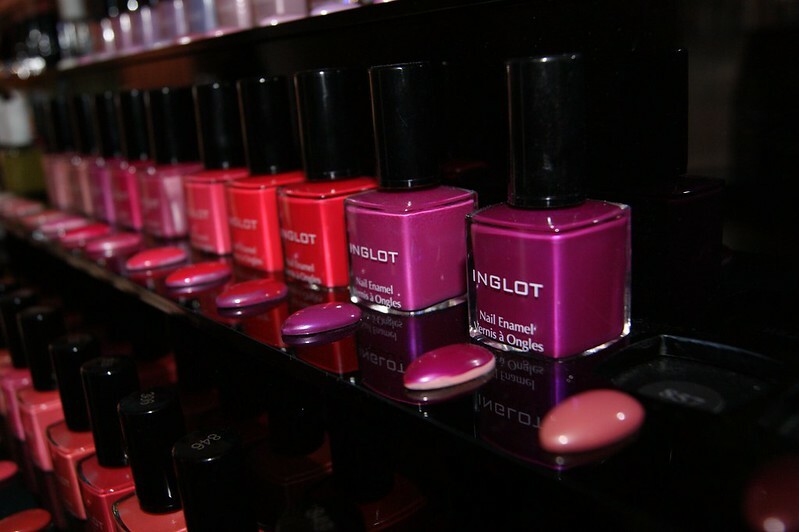 Inglot has a trademark for this formula, which allows moisture and oxygen to pass, keeping your nails in the best condition possible. 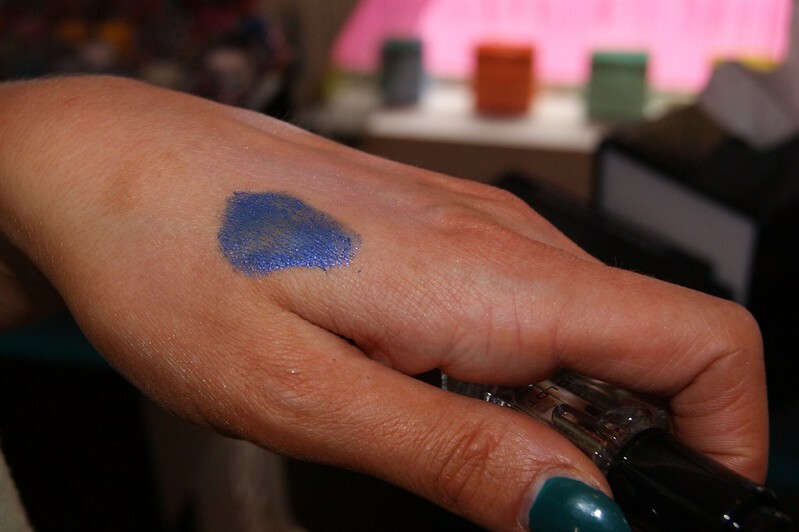 Please note: Inglot sells the O₂M Breathele Nail Polish but also sells regular nail polish, so you might want to keep that in mind if you're searching either one of these two. 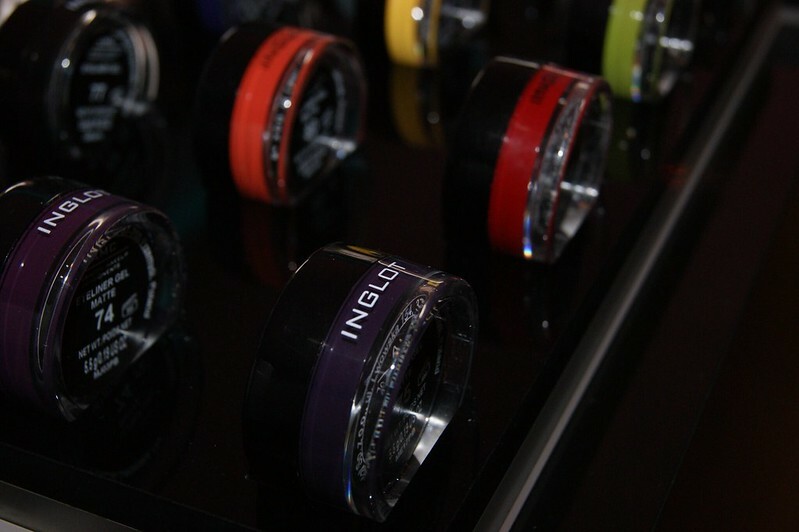 Inglot also offers individual or group workshops to improve your make up skills. Cool, right? It's the perfect excuse for a night out with your girlfriends or the best birthday / bachelorette party / ... gift. Everything looks amazing! 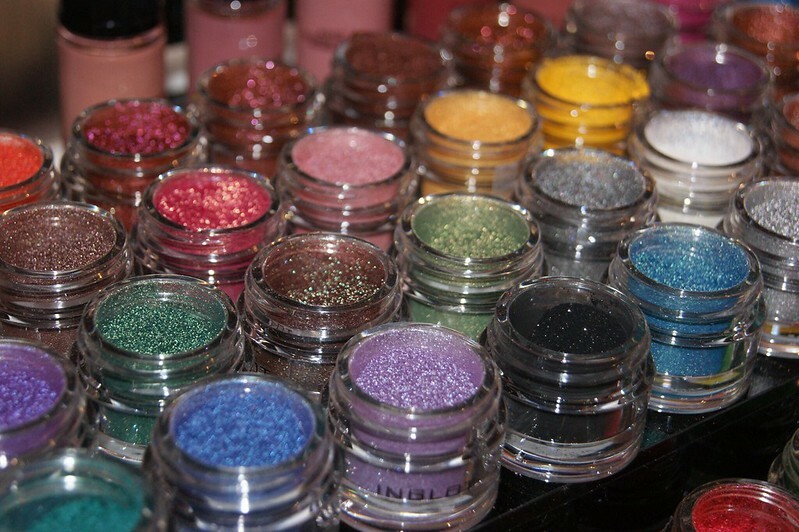 How many shades!?! XD Cool shop! Het merk doet me precies een beetje aan Kiko denken. Ze hebben echt alle kleurtjes en precies ook niet duur! nice! 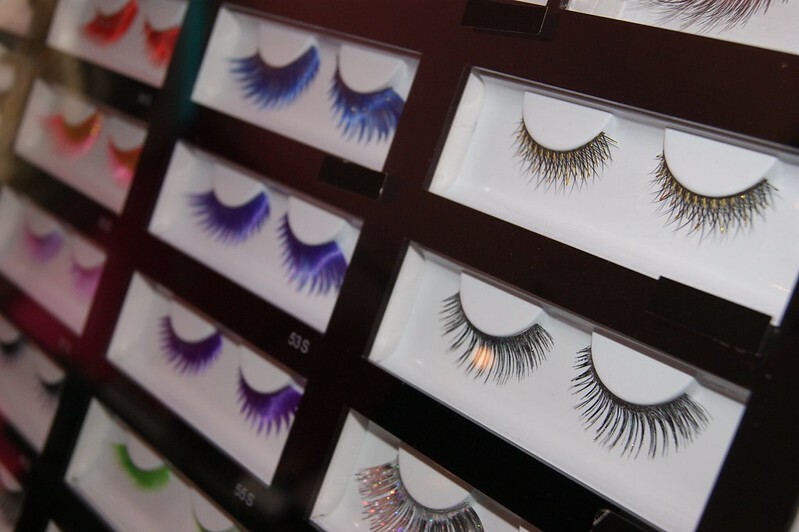 Wonderful faux eyelashes are top, also the glitter!